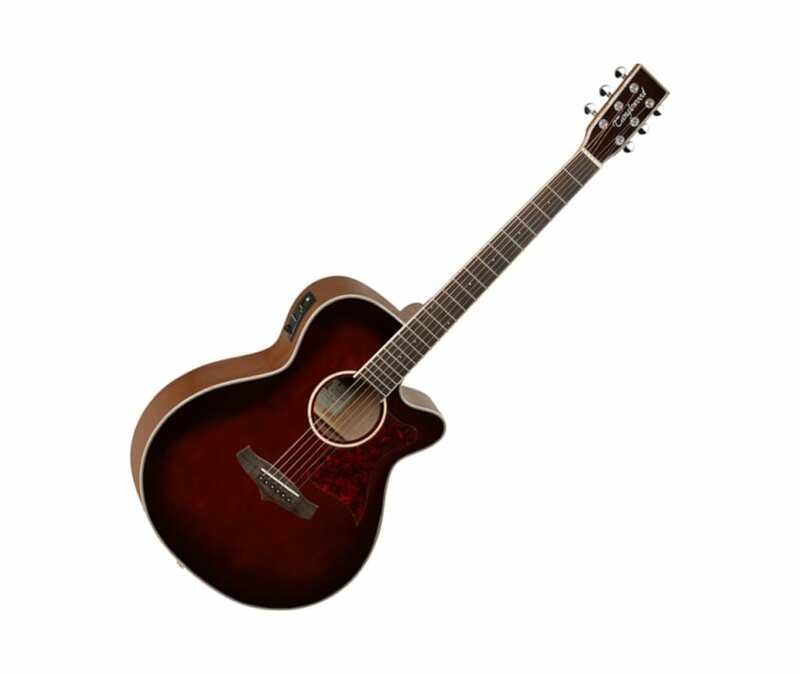 The Tanglewood TW4 Acoustic-Electric features a delicately crafted Spruce top, combined with Mahogany back and sides. With its elegant design the TW4 delivers a bright and warm tone thanks the the Spruce top. The Mahogany back and sides add a punchier and darker tone to the overall sound. Equipped with a B-Band M-450T Preamp, the TW4 delivers a great sound which can be easily controlled by the EQ sidemount. Available in Whiskey Barrel, Black, White and Burgundy Red Gloss.